In other news, Jonathan Davis of Korn has confirmed that he is working with shock rocker Marilyn Manson on an album or project. 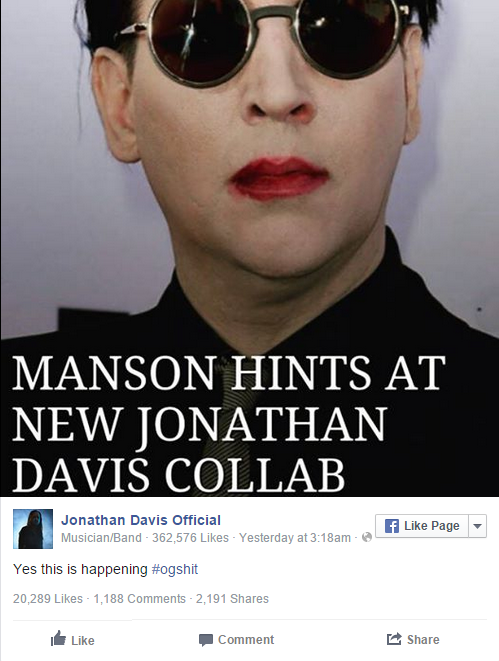 Manson had hinted many times in the past that the two may be collaborating, but I guess Jonathan couldn’t hold it in anymore. It is not known what the project will exactly be, what it will sound like, or who else will be on it, but I’m sure we’ll find out soon enough. Two of my favorite artists collaborating on one project, I hope this sounds good. If you’re a fan of Maria Brink or even In This Moment then set your DVR’s up for Monday Night because you are not going to want to miss this. The Season premiere of Murder In The First airs on TNT this upcoming Monday night (June 8) and guess who has booked a guest spot on the first episode of season 2? If you guessed In This Moment then you are correct. The band revealed it via their Instagram page saying, “We are so proud to announce that In This Moment will be featured on the TNT show ‘Murder in the First’ on June 8th. We are so excited for the premiere!! !” Check out the trailer for the episode here which also features a few moments of Maria Brink. 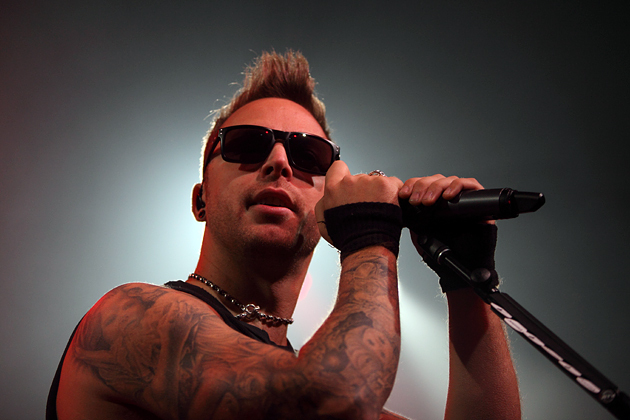 Bullet For My Valentine definitely has my respect after the band agreed to do one of the coolest things this summer. While the band is on the road in North America, they agreed to take the ashes of a couple of fans on the road all summer long. James Simmons, 18, and Corran “Coz” Powell, 21 were huge fans of the band and they passed away back in December in a car accident together. Simmons passed away at the scene while Powell passed away after being put into a medically induced coma. It was Powell’s brother who contacted the band about possibly paying tribute to the two and they agreed. They’ll be carrying a specially crafted urn with a couple of Jewels that were custom made in the two’s honor. Powell’s Mother stated about one of the jewels, “We made a piece of stainless steel jewelry inspired by the Gears of War game.” This is a really cool move on the band’s part and they have my respect. Catch the band all summer long with Slipknot, Lamb Of God, and Motionless In White.